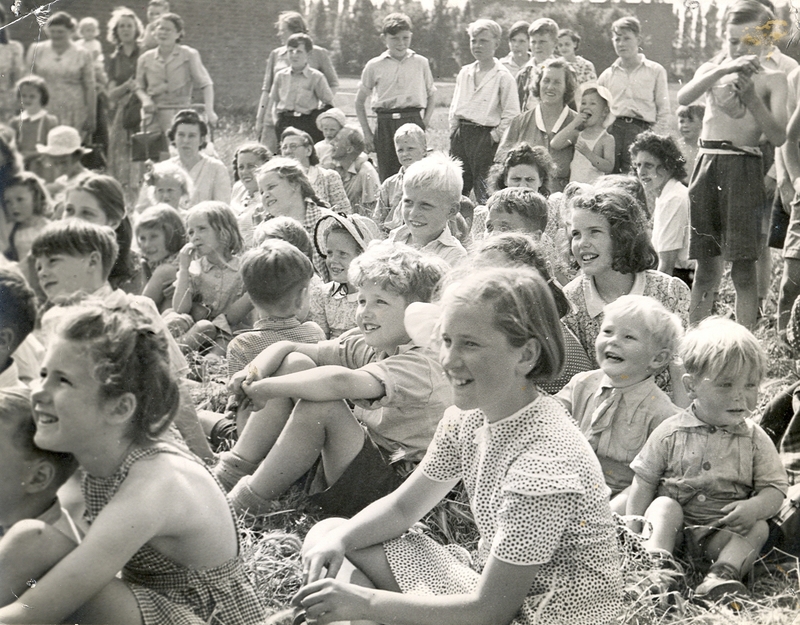 Can you help us put some names to the faces or identify the event? The photographs are part of a collection held by a resident of Welwyn Garden City, whose father was at one time manager of Peartree Stores. We think that the photos were taken outside the stores, the trees in the background being in Broadwater Road. 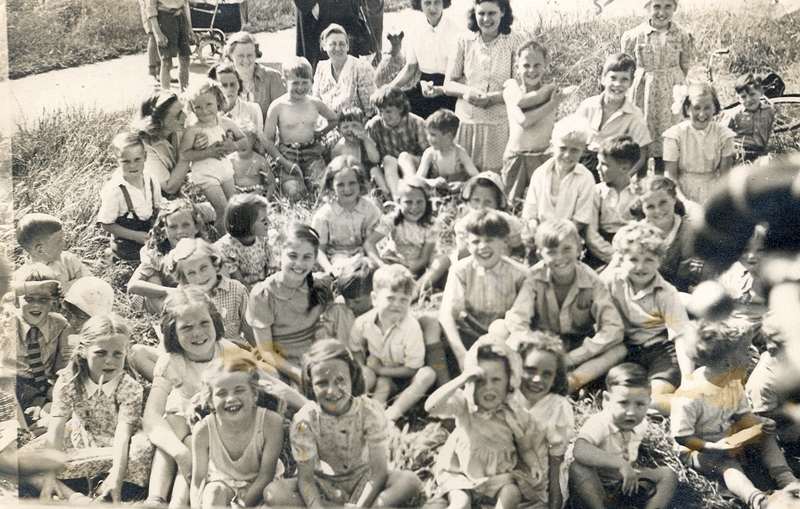 The year is also uncertain, could the children be dressed in 1950s or 1960s clothes? Please comment below if you can give us any information. l was born in W.G.C. on 11th April 1930 and lived at 12 Digswell Rd. 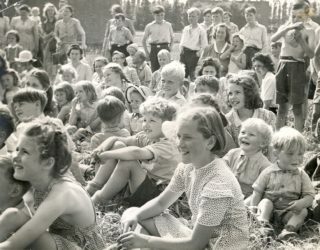 As a young girl l joined a youth group who sang to the forces in hospital. We were a great success and we had our pictures printed in the Welwyn Times- this was the time of the Dunkirk disaster when all the soldiers were saved by the little boats from the English Channel. I was amazed & delighted to find this photo and remember Christelle Nobbs Barry Ludgrove & Maria-Pia. Carolyn Wells and I are still friends and live just up the road from each other! I attended Moatwood from 1970 – 1973 before moving North with my Family. Would love to track down Robert Bee, Robert Knowles and David Ambrose. Fond memories. I went to this school in 1967 Mr Charles was the Head master,My Mum Una Bennett also twice the major/leader of the council,also went to this school my elder brothers may be in this pic Andrew and Kenneth Johnson. Infact The Johnson family still attand this school. one of my favorate memories are of Miss Zoler and the wonderful custumes she would make for the carnival our year was henry eighths wives. I cant imagine the time and effort she put into it what an outstanding woman. The girl in the middle with the long hair is definitely my mum!!! Will mention other people in this pic very soon! I would say that the top photo looks like it could have been Moatwood (Peartree) School. The row of poplars in the background look like those that use to line the length of Broadwater Road and were easily visible from the playing field..